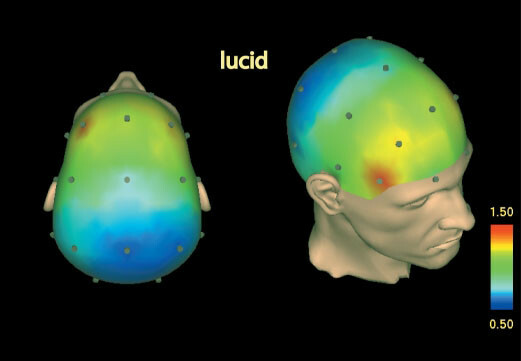 19-channel EEG was recorded on up to 5 nights for each participant. Lucid episodes occurred as a result of pre-sleep autosuggestion. Sleep laboratory of the Neurological Clinic, Frankfurt University.